As is typical during the end of presidential administrations, a lot of new regulations are implemented, and this year is no different. 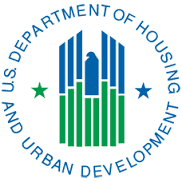 Beginning October 14, 2016, HUD Fair Housing regulation 2015-0095-0001 goes into effect, incorporating the results of court cases which in some instances involved homeowner associations. While HUD says this regulation does not place any new duties on HOAs, it squarely places these items “on the radar” of some who may see it as an opportunity to litigate. Because of this, it is crucial that Boards of Directors consult with their insurance agents to confirm that appropriate Directors & Officers insurance is firmly in place. This regulation clarifies some instances where a community’s Board of Directors must address harassment between neighbors: Boards must carry a heightened sense of awareness and act in certain situations that in the past they may have chosen to ignore. 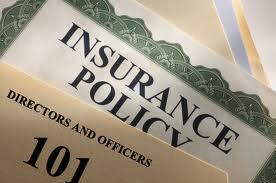 Additionally, they can be held liable for the actions of agents or employees. You can be held liable for failing to take prompt action to correct and end a discriminatory situation where the Board knew or should have known of the conduct and had the power to correct it. Such knowledge can come from, for example, the harassed resident, another resident, or a friend of the harassed resident. Neither psychological nor physical harm must be demonstrated to prove that a hostile environment exists. The power to take prompt action depends upon the extent of control or any other legal responsibility the Board may have with respect to the conduct (as indicated in bylaws or other rules of a homeowner’s association or condominium, or by federal, state or local law). Community associations regularly require residents to comply with CC&Rs and community rules through such mechanisms as notices of violations, threats of fines, and fines. HUD understands that community associations may not always have the ability to deny a unit owner access to his or her dwelling; the rule merely requires the community association to take whatever actions it legally can take to end the harassing conduct. Creating and posting policy statements against harassment and establishing complaint procedures, offering fair housing training to residents and mediating disputes before they escalate, issuing verbal and written warnings and notices of rule violations, enforcing bylaws prohibiting illegal or disruptive conduct, issuing and enforcing notices to quit, issuing threats of eviction and, if necessary, enforcing evictions and involving the police are powerful tools to control or remedy a tenant’s illegal conduct. A principal (such as the Board) is vicariously liable for the actions of his or her agents taken within the scope of their relationship or employment, or for actions taken outside the scope of their relationship or employment when the agent is aided in the commission of such acts by the existence of the agency relationship. The response from some Boards has been denial, believing this regulation only applies to apartment complexes and the like. HUD has stated otherwise, and this should be seen as an addition to existing Fair Housing considerations Boards must take in areas such as pet regulations and architectural review approvals. It is crucial that you consult with the Association’s legal counsel on this timely topic. admirable post! I really like and appreciate your work, thank you for sharing such a useful information about psycological contract management strategies and objectives, keep updating the information, hear i prefer some more information about jobs for your career hr jobs in hyderabad .